The Oaks Hotel Motel is conveniently located and close to some of Australia's most southerly subtropical rainforests and rugged sandstone escarpment. Your host Michael has owned the Oaks Hotel Motel for the past 16 years and is still as passionate about the business as he was on the first day! With 15 rooms which have recently been refurbished and a great restaurant and bar facilities next door. Free WiFi (limited - additional cost for extra data applies). The Hotel includes a liquor barn, two bars, TAB facilities, dance floor, and beer garden. The Local Bistro at the Oaks is open 7 days a week from 12 noon through to close of dinner service. Both lunch and dinner has a excellent variety meals on offer at value for money prices. Daily lunch and dinner specials. Right next door to Mcdonald's on the Princes Hwy Albion Park Rail. Very easy to find and conveniently located. 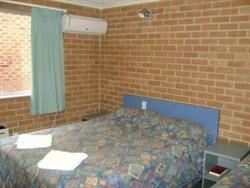 1 x queen bed and 1 x single bed with accessible ensuite bathroom with rails. Free limited Wifi available (additional cost for extra data applies). 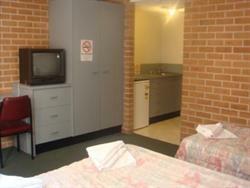 One room has 1 x Queen Bed and the other room has 2 x Single Beds with ensuite. Free limited Wifi available (additional cost for extra data applies). Our cancellation policy requires a booking to be cancelled 48 hours prior to the date of arrival. Failure to cancel prior to this time will incur a no show charge equal to one nights accommodation.